Each year, the Public Relation Unit hosts the Berkley “Lids for Kids” and Fire Prevention Open House, as well as Kids Police Training. From your support, over the last 10 years, we have provided over 4,000 Helmets to children in our area. In addition, we have had the opportunity to teach hundreds fire safety tips at our Open House. 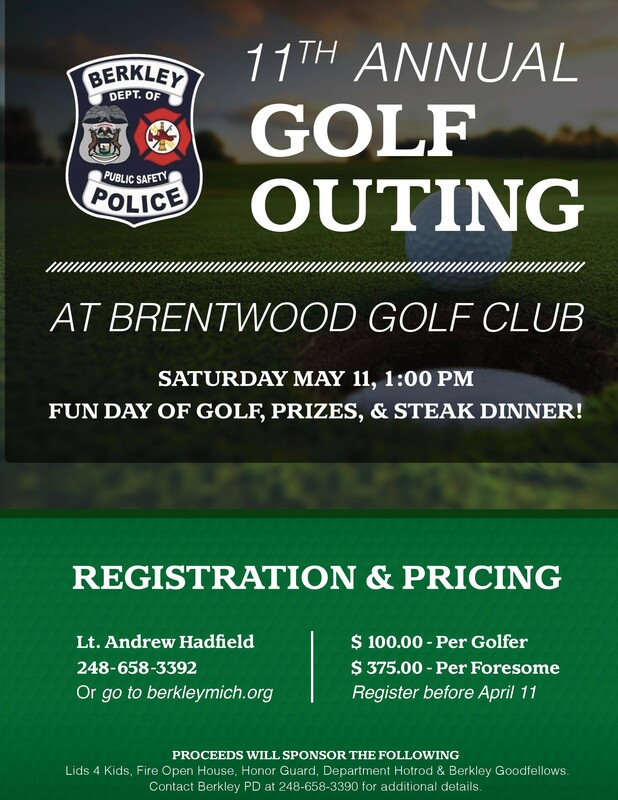 To register for the golf outing, click here.